NRSC Recruitment 2018-19 – Apply Online for 37 Scientist/Engineer Vacancies: Latest Employment News!! National Remote Sensing Center recently passed employment notification named as NRSC Recruitment 2018-19 Notification. Accordingly, the Board invites Online applications from eligible candidates for 37 Scientist Engineer, Scientist Assistant & Other posts. So, all interested candidates can apply for NRSC Jobs through Online mode. However, the application procedure initiates from 17th January 2018 and ends on 5th February 2018. 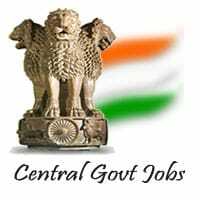 Therefore, apply at the earliest and be a part of Central Government Jobs 2018. Additionally, visit @ www.nrsc.gov.in to know detailed information about NRSC Recruitment 2018. Candidates applying for NRSC Jobs 2018 Notification must satisfy the below qualification conditions. Further, applicants can look down to get point by point data about educational qualification, age limit, application fees, selection process, pay scale and further how to apply process. Scientist/Engineer-SD: Passed M.Tech & Ph.D. in related subject from recognized Unversity or Institution. Kindly check Official Notification provided below for more details. Applicants must satisfy below specified age limit. Scientist/Engineer-SC: 18 years to 35 years. Scientist/Engineer-SD: No maximum age limit. Scientific Assistant: 18 years to 35 years. Candidates are selected based on their performance in following tests. Selected aspirants will get the following amount as their Salary. Scientific Assistant:44,900 – Rs. 1,42,400. Kindly check Official Notification for more details. Firstly, Visit the NRSC official website – nrsc.gov.in. On the main page, Check for the concerned notification. Download the NRSC Official advertisement and read it fully. Keep all the necessary documents before applying online. Here is a good news for all government job seekers. National Remote Sensing Center has announced an NRSC Recruitment 2017 notification for 42 Junior Research Fellow and Research Scientist vacancies. Candidates who are looking fro NRSC Careers can apply for this notification. Eligibile applicants can visit official website www.nrsc.gov.in to get apply online link. The online application for NRSC Hyderabad Recruitment 2017 available until 1st July 2017. The National Remote Sensing Centre released the Latest Employment News. The NRSC Hyderabad Recruitment 2017 notification for 42 Junior Research Fellow and Research Scientist Posts. There is only limited no. of Vacancies even though it is a golden opportunity for the unemployed candidates. The ISRO NRSC inviting the Applications from the Eligible and Talented candidates before the Last Date. So Aspirants are advised to check the NRSC Recruitment 2017 Notification carefully before applying. We have mentioned detailed information on Eligibility, Selection Process, How to Apply etc., First, refer these given details and download the NRSC Jobs Notification from the link attached below. Are looking for Engineering Jobs? then you are in the right place. Because this NRSC ISRO Recruitment 2017 Notification is only for you. The Board recruiting the Candidates who have completed BE/ B.Tech and ME/ M.tech from recognized university or Board. So aspirants who are waiting for this kind of recruitment make use of this NRSC Careers Notification 2017 before the last date. It has only 42 vacancies to fill up. The National Remote Sensing Centre accepts applications from eligible applicants before the 1st July 2017. Then don’t waste your time just refer the mentioned details and click on NRSC Balanagar Recruitment 2017 apply online link. Candidates can refer the table above to know the number of vacancies and name of the posts available. Candidates who have completed their B.E/B .tech and M.E/M .tech from any recognized Institute or the University are eligible to apply for these posts. Candidates awaiting for final sem results need not apply. The candidate applying for NRSC ISRO Jobs 2017 should possess the age limit as per the rules in the notification. Age relaxation will be given as per the Organization rules. No Application fee for SC/ST, PWD, Women, and Ex-servicemen. How to Apply for NRSC Recruitment 2017 Notification? Firstly, visit this website www.nrsc.gov.in. On the home page, you will find Click here for Recruitment Details. You can find the Apply option for two different posts. Click on Apply and Click on the New User. Applicants have to first register with the valid email id and the text seen there. Then, he/she has to fill the application form with necessary details. The candidate has to be ready with the relevant documents. Upload the necessary documents and photograph if needed. After that Pay Application Fee. Later, submit the Application form. Take a Print out of Application form future use.